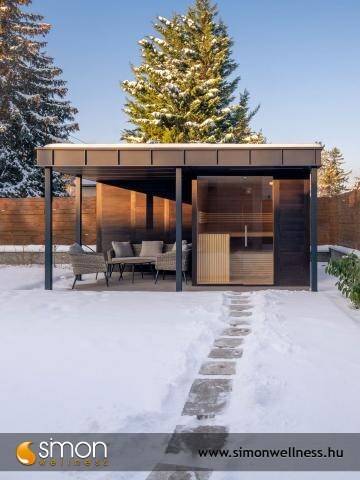 Don't you have enough space at home? 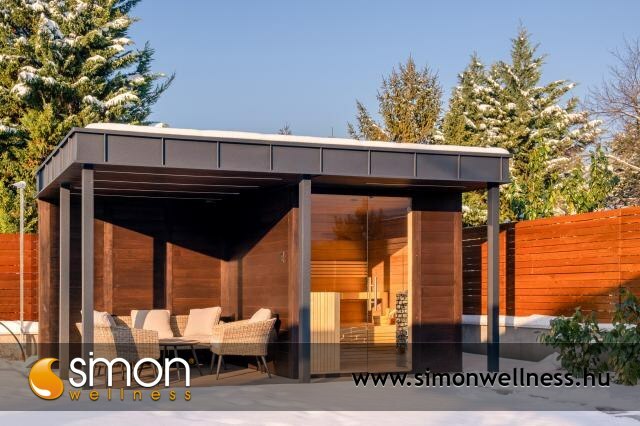 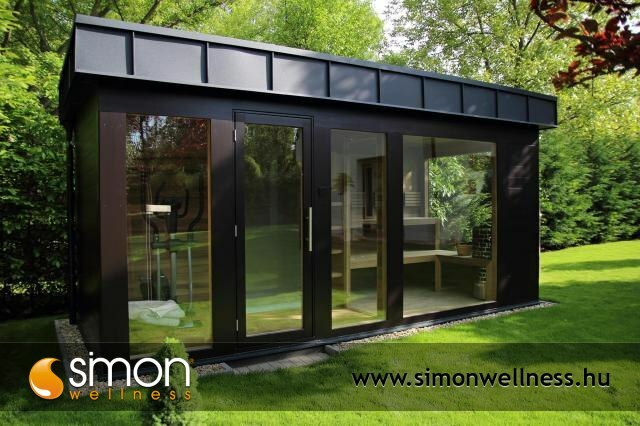 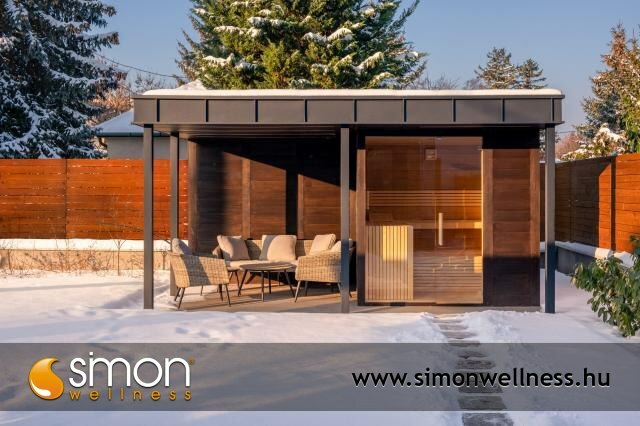 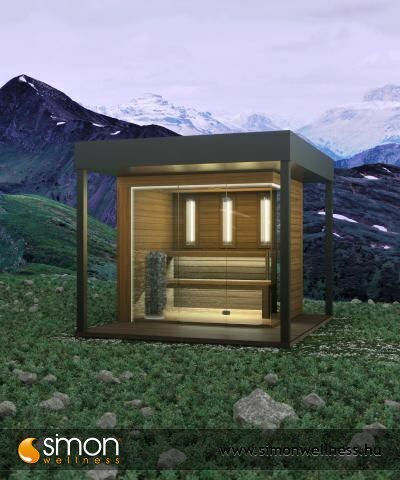 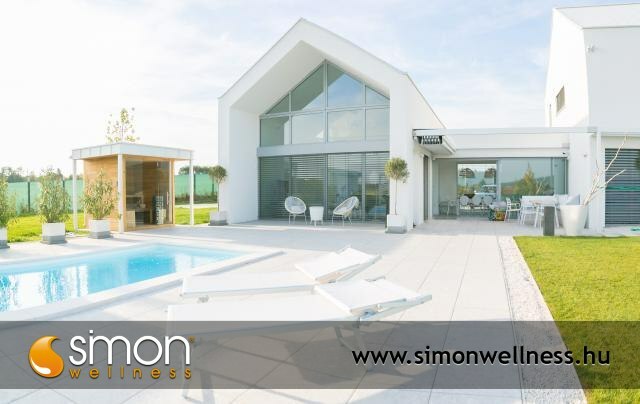 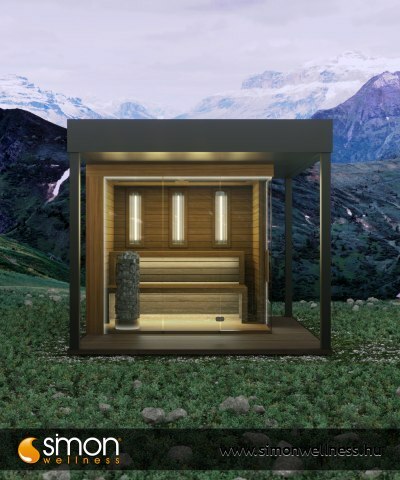 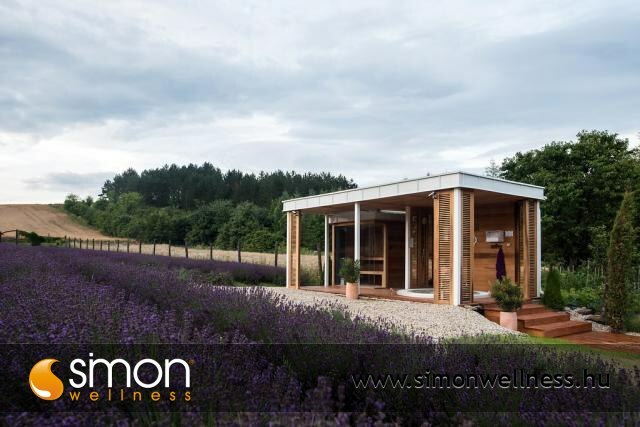 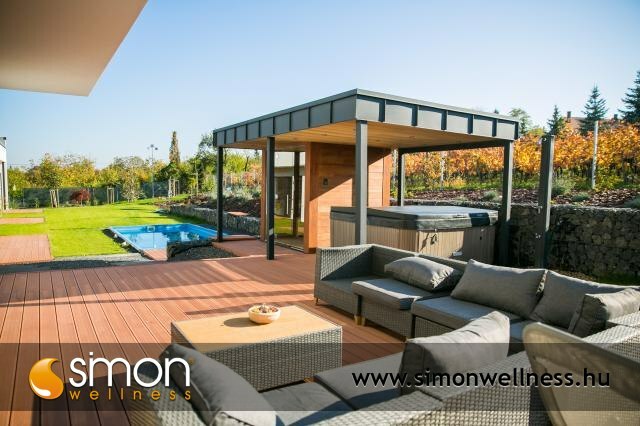 The sauna or infrared cabin can be put outside your house in the form of an impressive, high standard, outdoor sauna house. 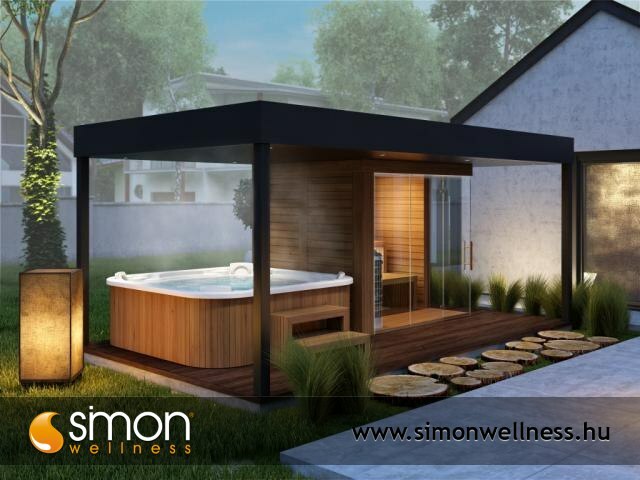 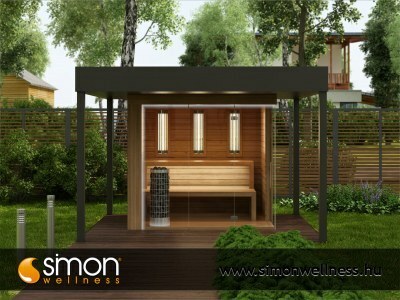 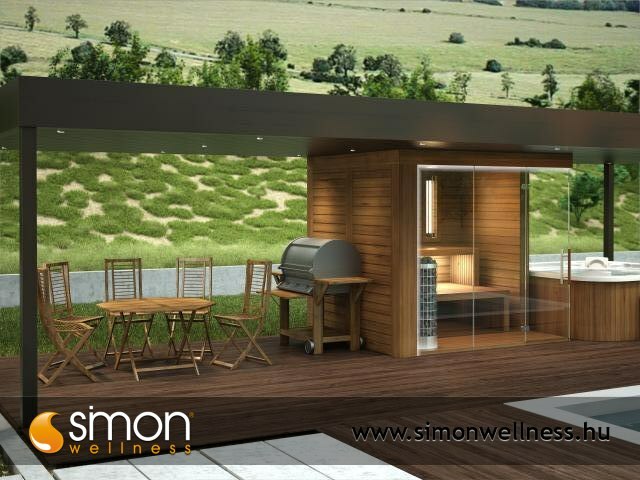 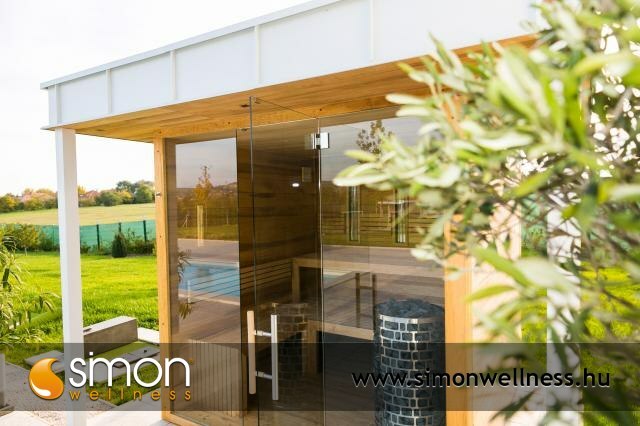 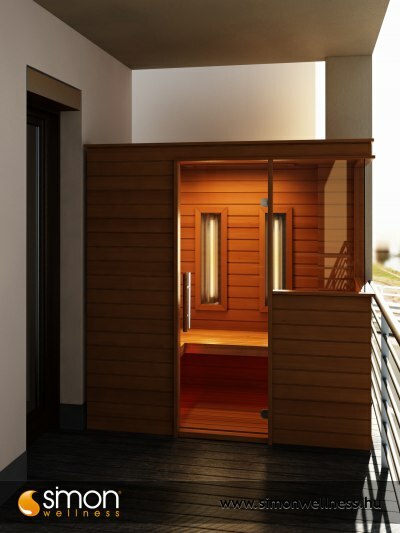 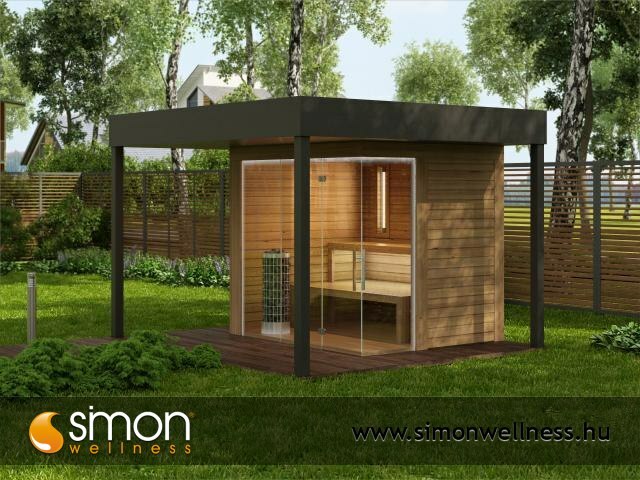 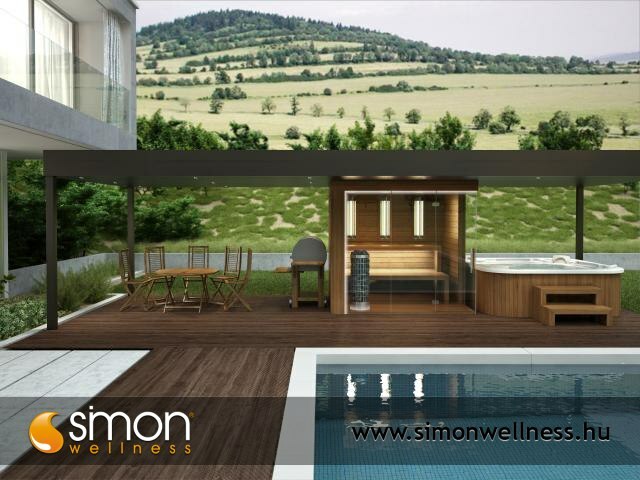 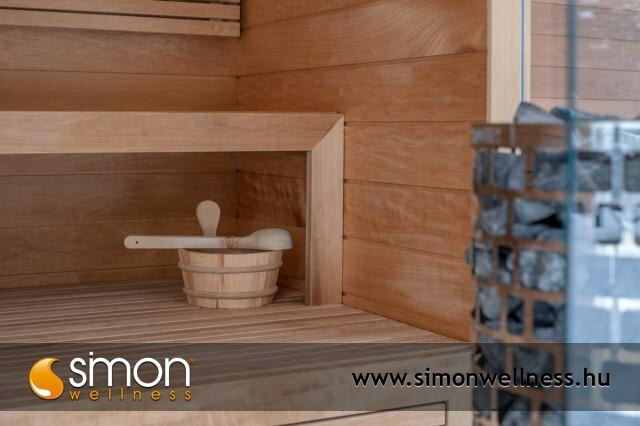 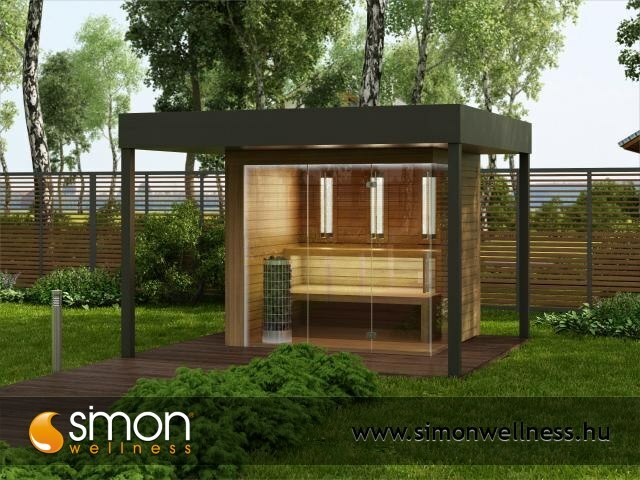 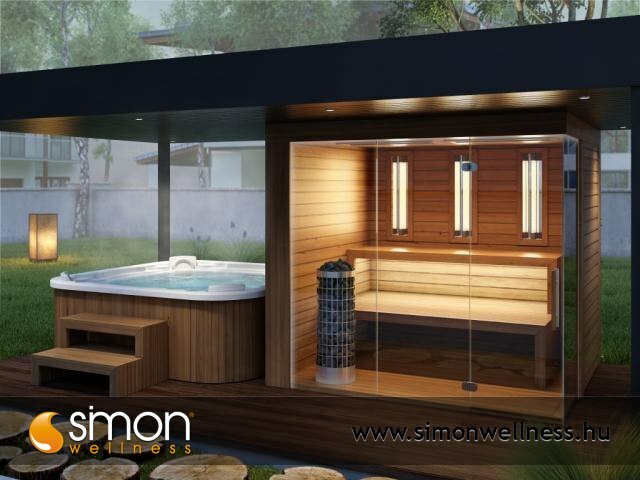 A garden sauna has the advantage against the house version that it can be made in significantly larger sizes (for more person) and it is not confined by walls. 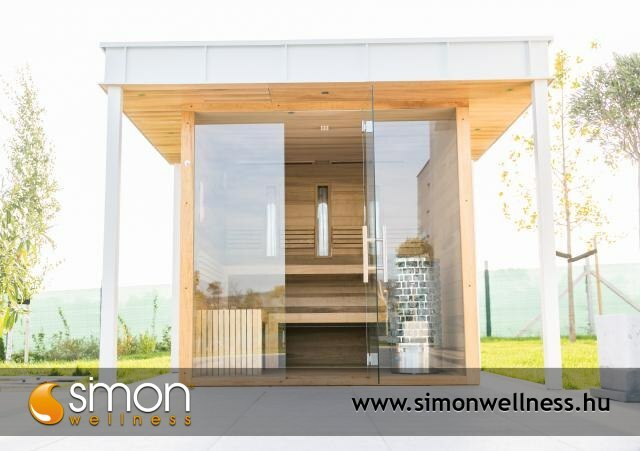 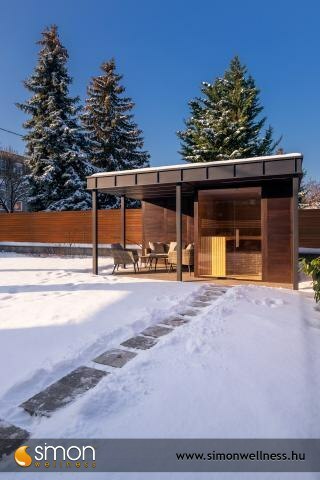 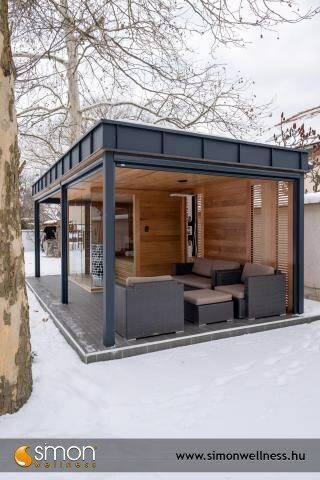 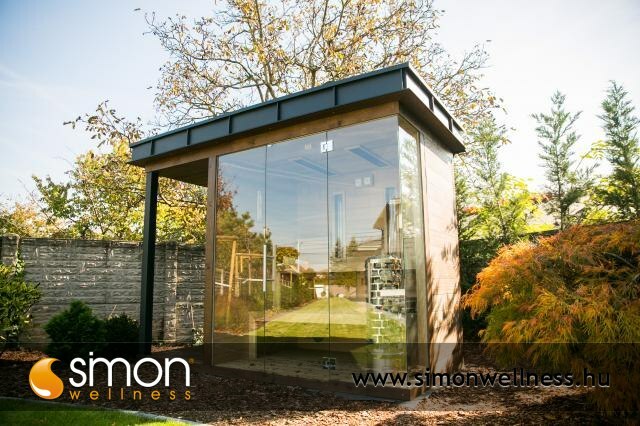 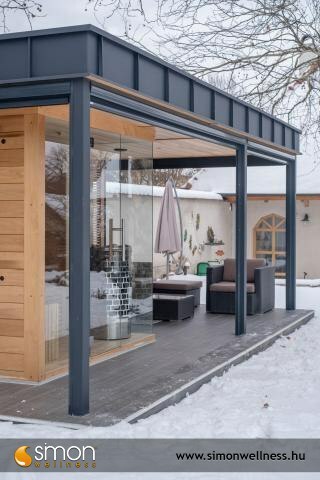 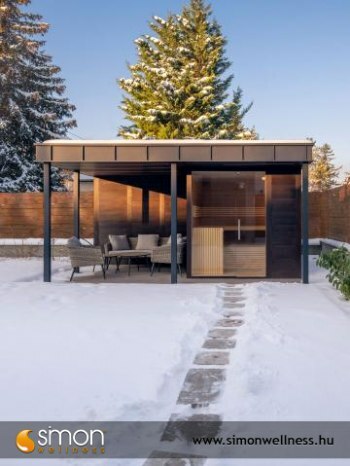 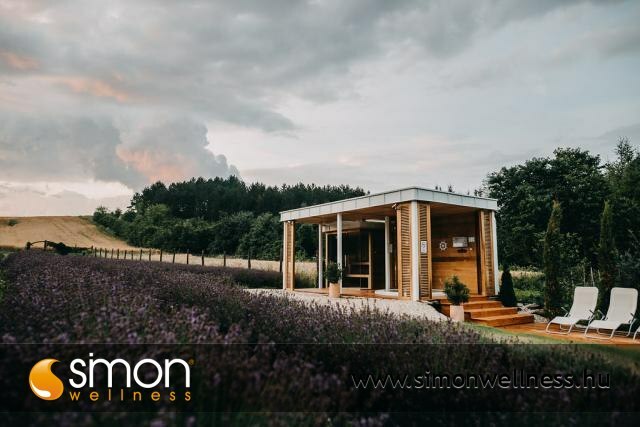 Besides this, the sauna house being a stand-alone building can be the decoration of your garden, as well as a place excellent for withdrawal and perfect relaxation. 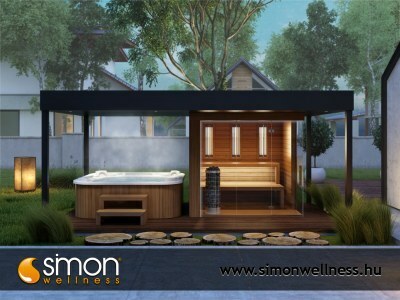 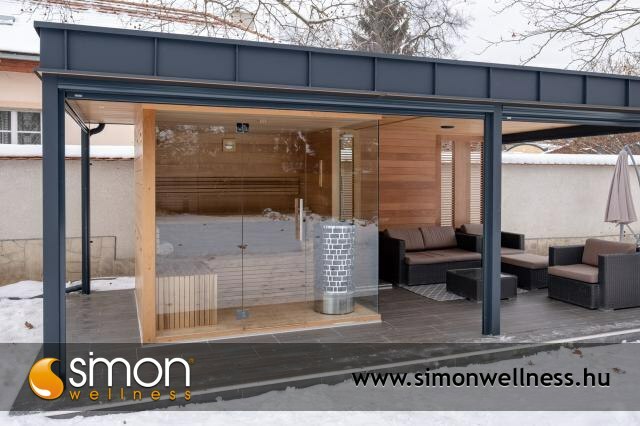 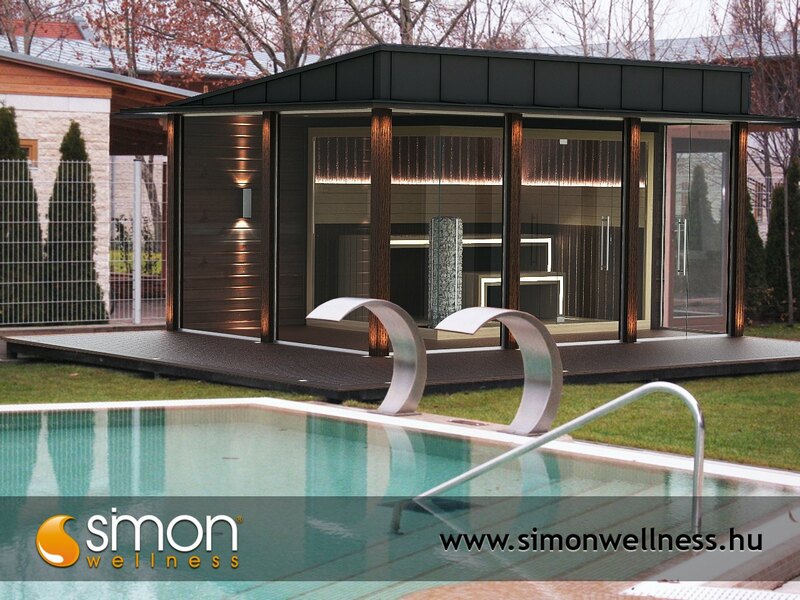 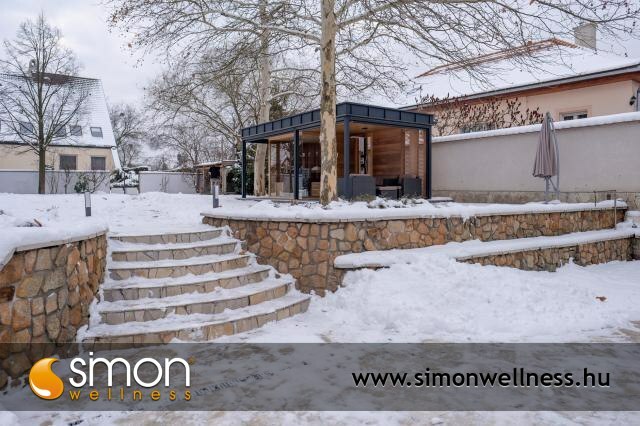 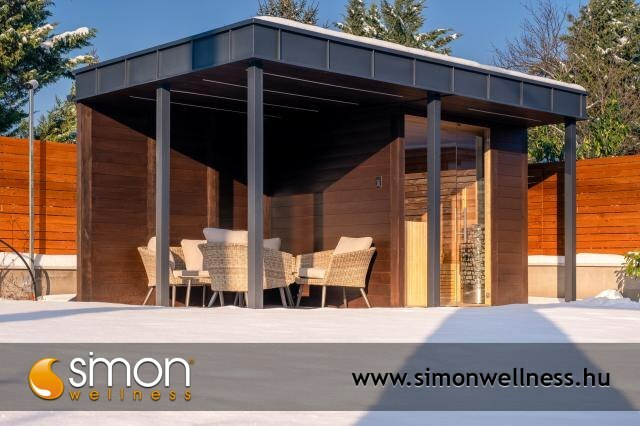 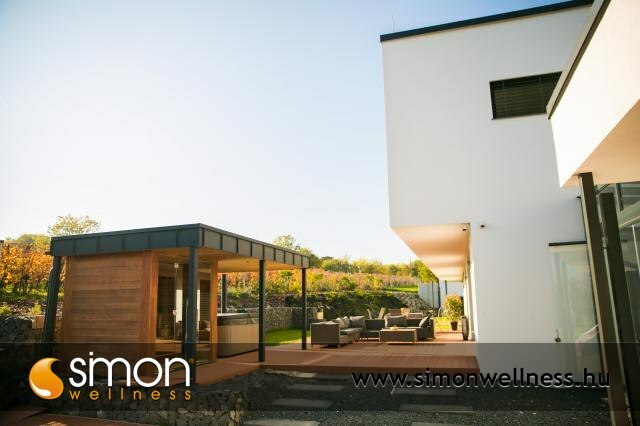 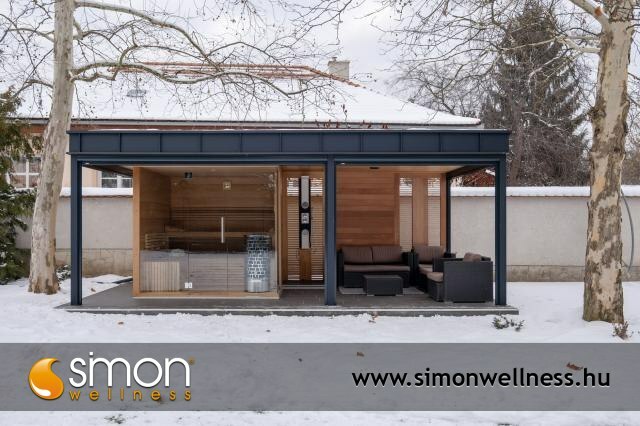 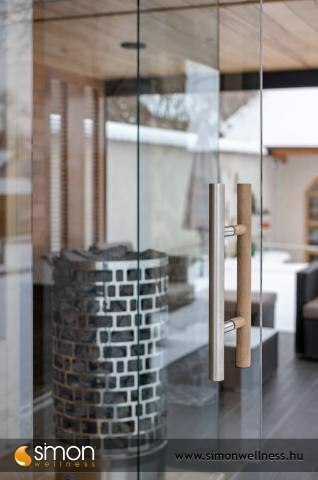 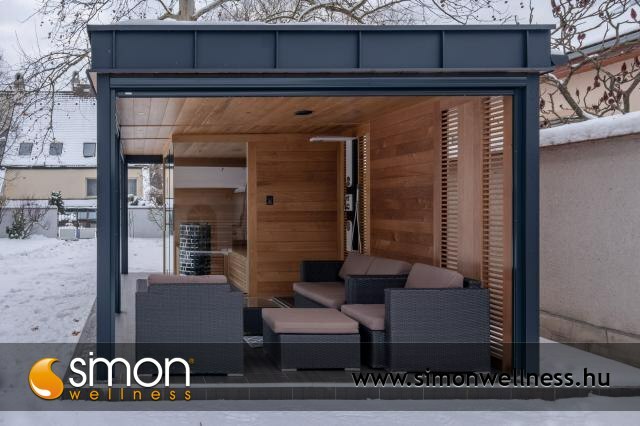 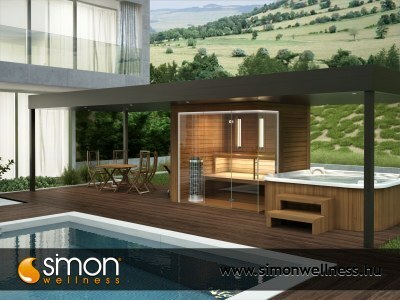 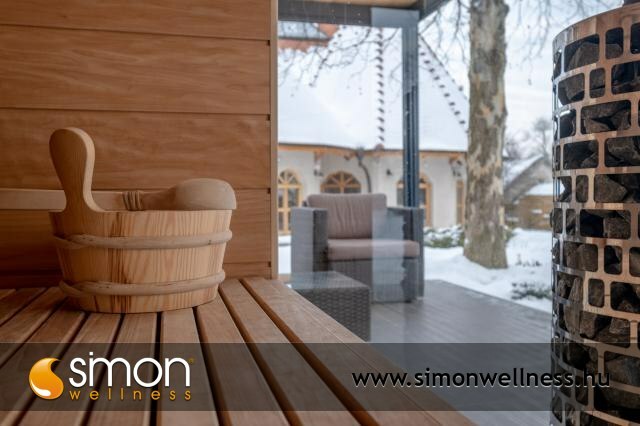 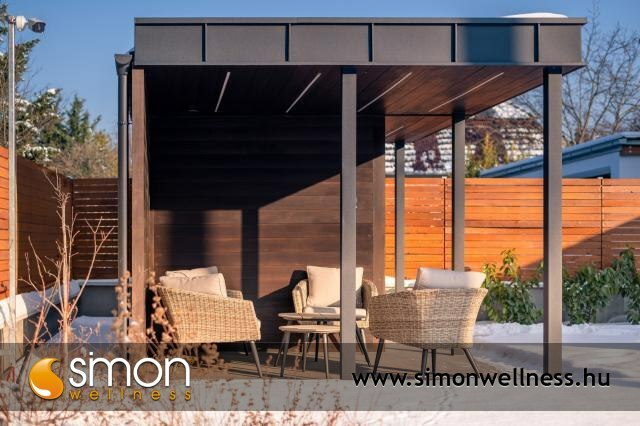 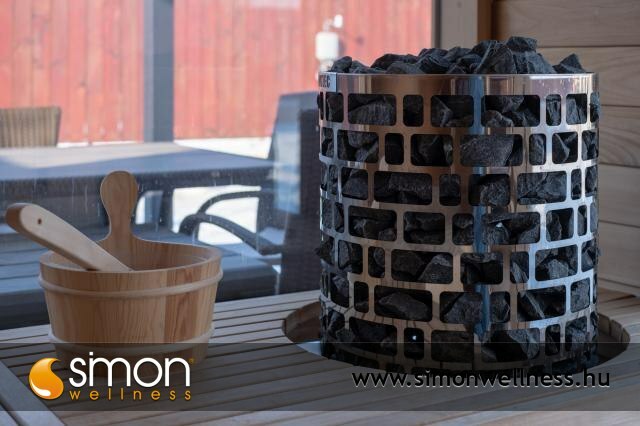 When creating your outdoor sauna house, we adapt to your unique conceptions. 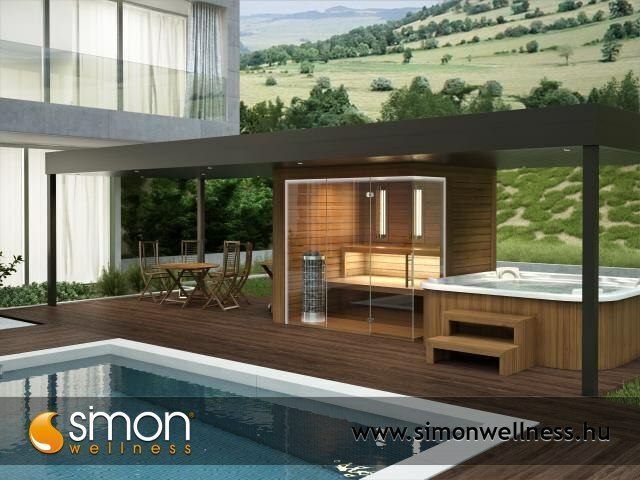 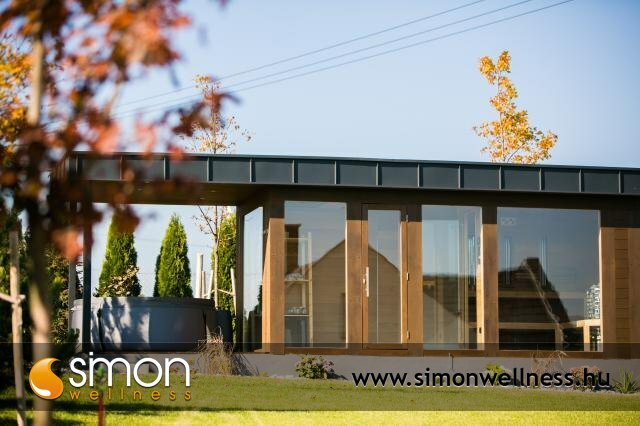 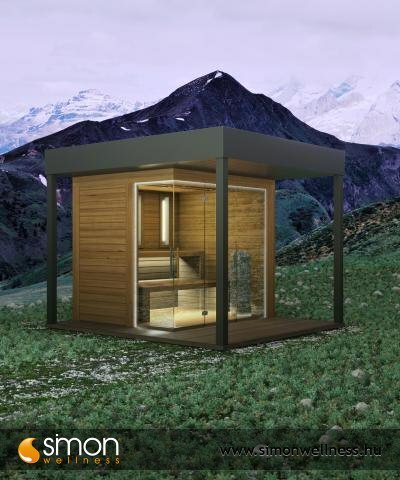 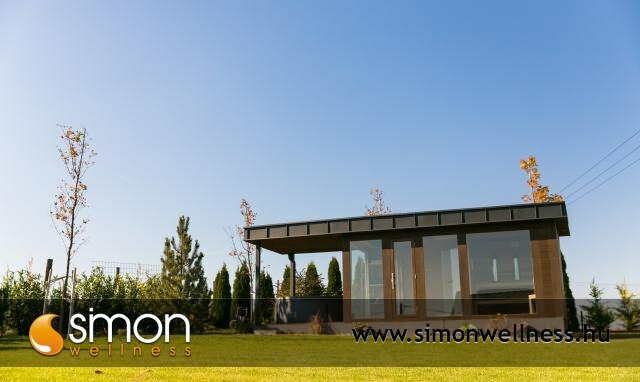 A Finnish sauna, an infrared sauna or even a dual cabin can be placed in the house which is built on-site in 2 days. 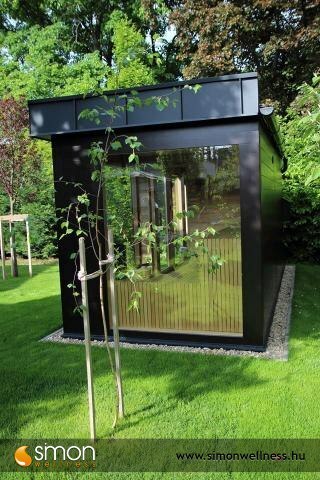 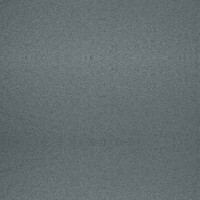 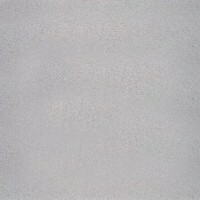 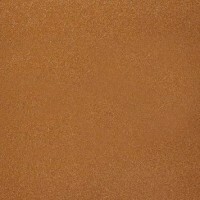 You only have to provide the concrete base and the electric current. 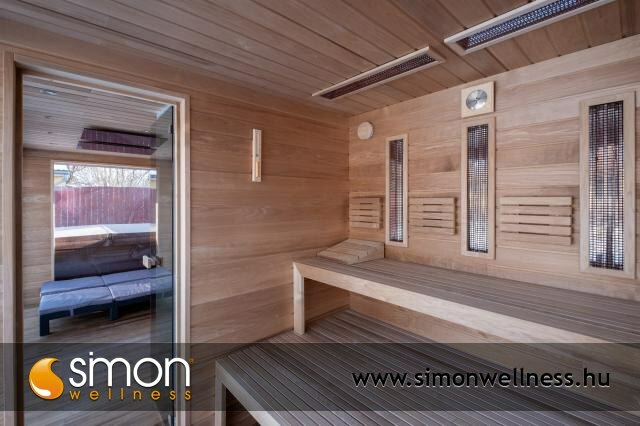 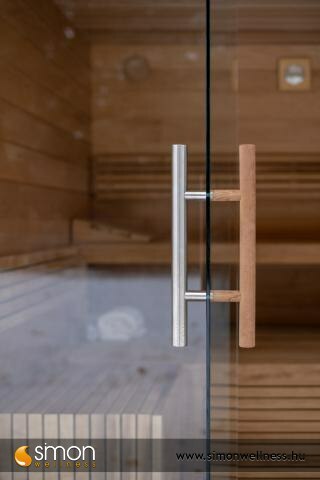 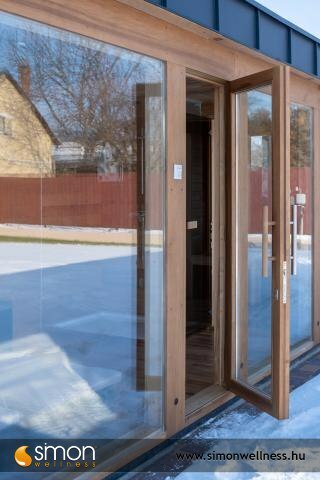 We offer our wooden sauna houses with aluminium gutter, external pickling and bitumen shingle in many colours. 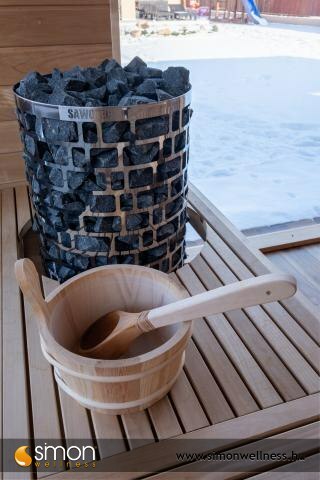 The construction time of the sauna house: 4-6 weeks.